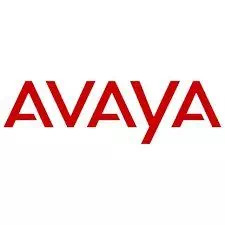 Since 2001, Avaya has sold and acquired several companies and introduced many systems and phone models based on acquired product lines. The multitude of product names and models makes it difficult for users to evaluate compatibility with the 3rd party products, such as Versadial call recording solutions. In 2009, Avaya acquired NORTEL Enterprise Voice and Data business units and introduced many of the Nortel products under Avaya names. This page is designed to address common questions and concerns revolving around Avaya and the Avaya Nortel family. Please note, not all explanations or model numbers may match what you have, we encourage you to call us to discuss compatibility and how our recorder can integrate with your Avaya system. Versadial Recorders compatibility with individual Avaya (Nortel) digital phones is based on compatibility tables provided by supported recording boards. Versadial supports the following recording boards: NGX series from Audiocodes and DST series from Synway. Multiple phone models of Avaya and formerly Nortel phones are listed in our combined compatibility table here. Note: While the majority of Avaya digital phones can be recorded with Versadial Software and the above configuration scenario, some phone series are still not supported by the recording boards manufacturer (a notable example is the Avaya Partner series phones). Many original Avaya VoIP phones use signaling based on an Avaya specific flavor of H323. The majority of original Nortel VoIP phones use UNIStim protocol. At the same time, newer generations of the Avaya VoIP phones support Session Initiation Protocol(SIP). Depending on your current Avaya solution, Versadial is capable of recording all of the above protocols using the following configuration scenario: Scenario 5 – Business Phone System, Passive Recording From The VoIP Extension Lines. Call details such as Caller ID, dialed number, extension, and direction can be captured directly from the signaling. Not having to rely on SMDR or CTI simplifies the recorder configuration and reduces the likelihood of losing call details. Direct deciphering of the Avaya H.323 or Nortel UNIStim signaling has a higher likelihood of capturing and properly applying the call information. This added capability makes Versadial’s software 100% Avaya VoIP compatible and greatly reduces the time required to configure the Versadial Call Recorder for Avaya phone system. A special recording configuration is available for newer Avaya phone systems with Avaya Aura Application Enablement Services (AE Services). Supporting CSTA protocol. The configuration is based on Scenario 10 – Active Recording Based On CSTA Protocols and provides the most flexible method of the recording.